Readers, I’ve done it again. I promised to control my cupcake eating (and baking) obsession. I just didn’t quite manage it. As I documented in my last post, I prepared an afternoon tea last weekend for Mother’s Day. 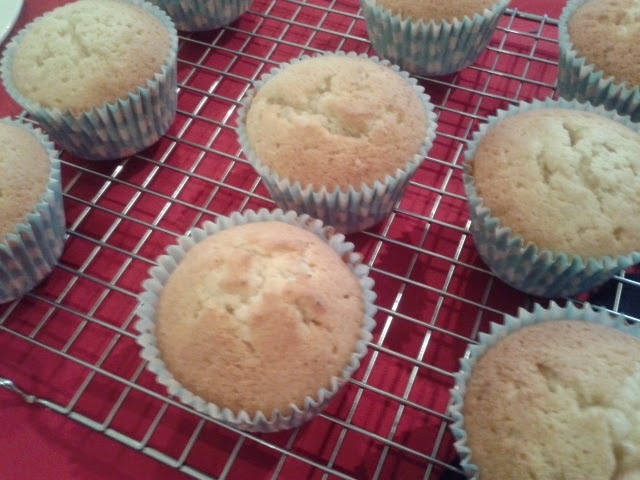 Both my mum and grandma are fans of cupcakes, so that’s my excuse for making them. And I’m sticking to it. I just bought myself lots of lovely goodies from Sugar & Crumbs who've previously provided me with some fantastic samples to work with for my 99 Ice Cream Inspired Cupcakes. I wanted to use some of the salted caramel icing in this latest baking project. 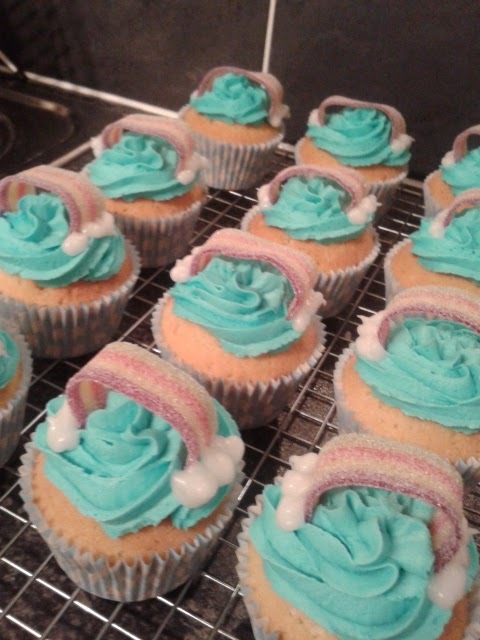 I even managed to source caramel flavouring for the sponge, so had a full on caramel cake fest whilst making my rainbow cupcakes. Cream together the butter and sugar until pale and creamy. Add in the caramel flavouring and stir to combine. Add the eggs one at time, adding a teaspoon of flour to prevent curdling. Beat the mix together as you add each egg. Spoon the mix into the paper cases, to around ¾ full and bake for 15-18 minutes until golden. Cakes are ready when a skewer is inserted and comes out clean. Beat the butter in a clean bowl with an electric mixer until soft and lighter in colour. Slowly add in the salted caramel icing sugar and mix to combine fully. Then add in the rest of the icing sugar and beat until all the icing sugar in incorporated and a smooth buttercream is formed. 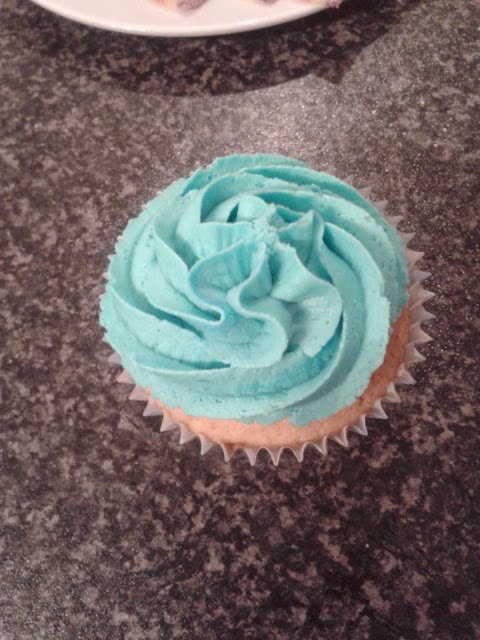 Add in a little gel icing colour and mix until fully combined and the desired sky colour is created. Pipe a swirl on top of each cake to create the sky. Cut your rainbow belts to the right length to form a little archway on top of the buttercream, the fix to the cake by pushing into the buttercream. Pipe a little white cloud along the outside of edge end of the rainbow, using this as a “glue” to hold the rainbow onto the buttercream. Plate up onto a cake plate and serve immediately or store in an airtight container for a couple of days. Thanks so much! 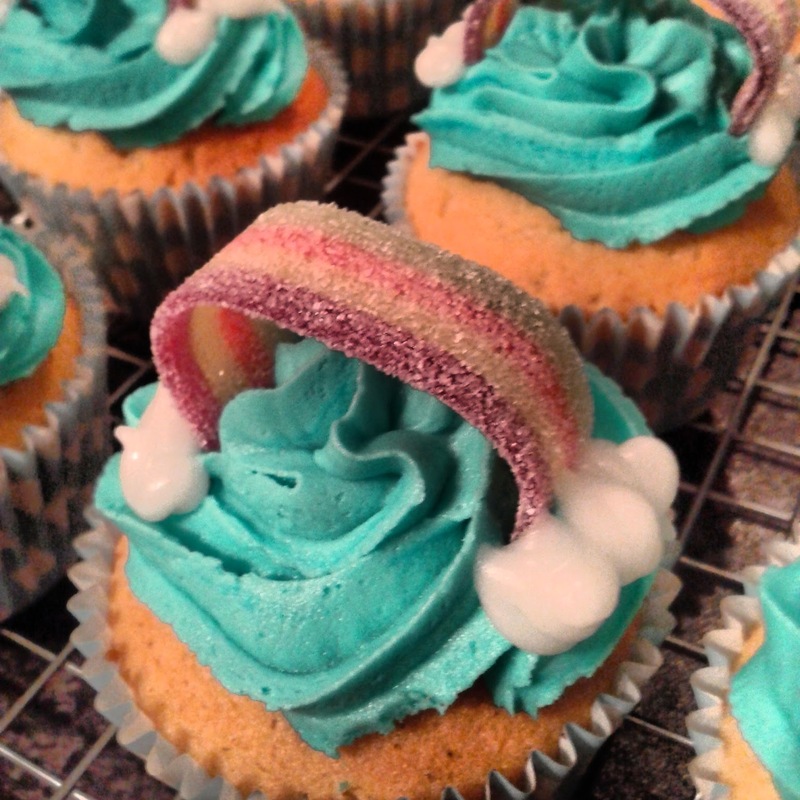 Yes, you can buy the flavoured icing sugars from Sugar and Crumbs which are fantastic for flavoured cupcakes. Good luck!